The summer season is upon us! Unfortunately, for many dogs, this also means the itchy season. In 2013, according to the veterinary health insurance company, Veterinary Pet Insurance (VPI), trips to the veterinarian for skin allergies were the most frequently submitted claims. In addition, the second highest number of claims came from owners whose dogs had ear infections. Interestingly, one of the most common causes of ear infections in dogs is also allergies. In my experience, there are many misunderstandings among dog owners when it comes to canine allergic disease. One of the most common misunderstandings I encountered in practice was to blame food first as a cause of their dog’s bad skin. It was not uncommon for an owner of an allergic dog to inform me that they had already changed their dog’s food multiple times, but that it either didn’t help or only helped for a short period of time. Not only can rapid food changes cause severe gastrointestinal issues in dogs, approximately 90% of the time owners are wrong in blaming food, as only 10% of all canine skin allergies are believed to be food related. In part one of our summer heat post, I wrote about the dangers of leaving dogs in a hot car, recognizing signs of heat stress and how to save a heat-stressed dog. Give it a read if you haven't yet. But heat-related issues are usually completely avoidable with a little foresight, precaution and knowledge on your part. To keep your pup comfortable, cool and safe from the heat this summer, check out these tips ... is there anything you would add? Like most everything, commonsense can keep your dog safe. 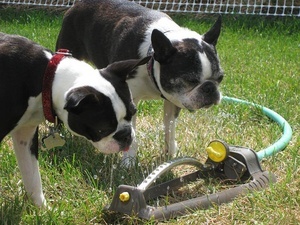 A few simple steps can keep your dog from overheating in most situations. Exercise: Don’t do it in the middle of the day when temperatures are hottest. While early evening provides a cooler time to work, mornings are the coolest, and best, times to exercise. At no other time will the earth’s surface be as cool as at first light. An added benefit of morning is dew – it can help cool your dog by wetting his paws and perhaps his skin. Summer has officially started, but temperatures that make for great beach-going time for you pose a deadly risk to your dog. You have to remember: dogs are physically adapted to conserve and recycle heat. They don’t cool by sweating; heat generated by exercise (even just the physiology of body functions) is trapped inside. Their fur coats insulate them further. Brachycephalic (short face) dogs such as the bulldog, pug, boxer and Pekingese have it even harder because they can’t pant as sufficiently as other dogs, which compounds heat-related issues. However, if you trap any dog in a hot area with no way for them to release or escape that heat, their body will become so stressed that it can cause death – and it can happen very quickly, too. To keep your dog safe and cool this summer, keep these tips in mind. If it’s been said once, it’s been said a thousand times: don’t leave your dog in a car during the summer. Even with the windows cracked, it can turn deadly in minutes. What Can We Learn From Large Corporations about Customer Service? I recently took a trip to Colorado Springs to visit colleges with my son. I enjoyed spending time with him and visiting Colorado College. We were very impressed with the student-led information session and campus tour. The students were knowledgeable, poised, enthusiastic and inviting. If these undergraduates are a reflection of the school and its caliber of students and faculty, then I know that my son will do well there. We left with an overwhelmingly positive impression of the school, the campus and the region. I would give our student ambassadors an A-plus for customer service during our visit. However, during our trip we were customers of several other companies and many of them fell short of superior, or even acceptable, customer service. Our flight to Colorado Springs was uneventful and the staff of United Airlines did an exceptional job in making us feel special and that they appreciated our business. However, when we landed in Colorado Springs, things started to fall apart. State Dogs: What Dog Best Represents Your State? Every state has a flower, a nickname and another officially decreed symbols. However, only 11 states have an official state dog. This seems like a gross injustice to me, considering some of the symbols recognized by some states include official state amphibians, insects, fungus, poems and even toys. 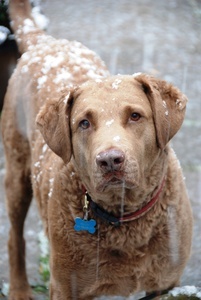 In 1964, the Chesapeake Bay retriever was the first dog to be decreed an official state canine – that was in Maryland, the state from which it originated. Typically, the dogs that originated in a state or played a role in its culture tend to have the official-state status bestowed upon them. Several states have shot down proposed state dog breeds; politics knows no bounds, apparently. In 1991, Georgia politicians came to an impasse when two opposing campaigns pitted the golden retriever against the bulldog for state canine. Similar attempts to designate dogs as state symbols failed in Washington state (Siberian husky) and Kansas (Cairn terrier; a hat-tip to Toto from The Wizard of Oz). If your state were to name an official breed of dog as the canine symbol, which breed would be the best representation? Since its origination as a rodent hunter in the late 1800s, the German-bred miniature schnauzer has become one of the most popular dog breeds in the United States. 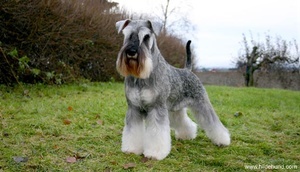 Believed to originally have been developed by breeding the standard schnauzer with the smaller affenpinscher (and possibly the poodle), the miniature schnauzer is a hardy, tenacious breed with an energetic, playful personality. Often appreciated for their natural aptitude as watch dogs, miniature schnauzers can be great family pets. 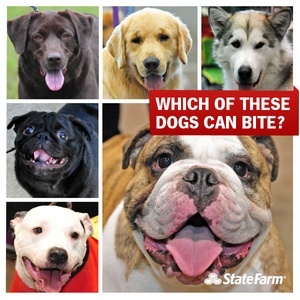 New information from the Insurance Information Institute and State Farm reveals that dog bite claims continued to rise in 2013. The number of bites are up since 2012, but the amount of insurance payouts since last year are down – but only slightly. In the last decade, claims, value of claims and average cost per claim are all up. 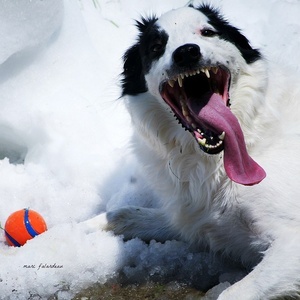 In 2013, the value of insurance claims related to dog bites totaled $483.7 million! That’s nearly a half billion dollars. The number of claims was up 5.5 percent with a total of 17,359 claims. Those are just reported claims. That’s a lot of biting going on -- some of these are due to irresponsible owners not taking time to properly socialize and train their dogs, while others are likely due to something that happened in the moment and which was likely a one-time incidence; most of those situations, however, were likely avoidable. 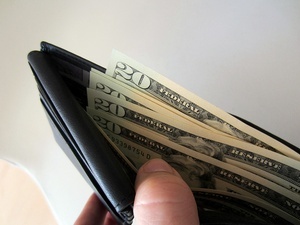 Before you think it’s just nips and torn pants that qualify for those bite incidences, consider that the average claim was for $27,862 – it doesn’t take much to rack up a hospital bill with a visit to the emergency room. Breeding dogs and producing puppies is no easy task. It’s not a lucrative endeavor, either. The costs associated with breeding can add up quick. Genetic screening of a sire and dam, however, should be a calculated cost of doing business. Just as going into debt to afford college is considered “good” debt (because it will pay off in the end), genetic screening is a “good” cost that can be recouped and will also pay higher dividends in the end. As a breeder, genetic screening for inherited diseases helps ensure that you’re producing sound, healthy puppies. It’s a cost that can be passed on to the puppy buyer, and one that underscores your health guarantees. 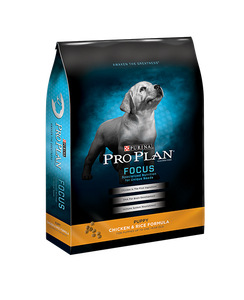 It puts proof in your hands as to your dog’s genetic health, and shows that you’re making breeding decisions and offering guarantees based on the most current scientific data, as well as other goals such as performance or conformation. The costs associated with genetic testing are minimal compared to the potential damage to your reputation and costs of replacing, refunding or caring for a sick dog that a puppy buyer returns; those costs are easily recovered. It’s easy to order from Paw Print Genetics, but having a little help never hurts. From the minute you enter the Paw Print Genetics website, we have quality control measures in place to ensure that your results reflect the samples that you sent to us. We have discussed our quality topics before, but we haven’t explained to you why you must associate each test with a dog when you place your order. Many of our customers order different tests for each of their dogs, so their orders can be quite complex. To ensure that we are performing the right tests on the right samples, it is important for you to tell us what you want on each dog. The following steps will help you create an account and place your order. 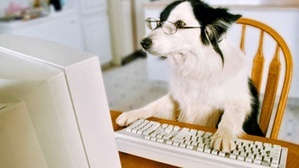 There are three main steps: create an account, enter your dogs, associate tests with each dog and place your order. Which Dog Food to Feed Puppies? Puppy-formula foods have been around for a long time. Theories, myths, personal beliefs and veterinarian recommendations concerning them began to form about 31 seconds after they hit store shelves. This mass of information and misinformation can make it confusing for a puppy owner to know what to feed and when to switch a puppy to an adult formula. When my dogs were young, a popular theory was to switch a dog off of a puppy formula at around six months of age. It was believed that puppy formulas were too hot and caused bones to develop too fast. I switched both dogs, the lazy bulldog and active Labrador, to performance formulas at about that age. Both developed well and with no issues. But was it the right thing to do and does the advice still apply? It turns out that a ton of research and changes have taken place around puppy formulas in the last 10 to 15 years, and that’s always good news – for knowledge, whether it proves or disproves your position, is a means to a better end.